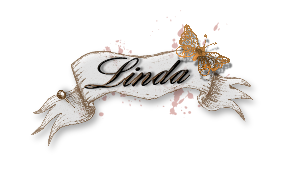 Tonight's post is about our challenge blog and the new challenge we have running for September, the theme is butterflies. 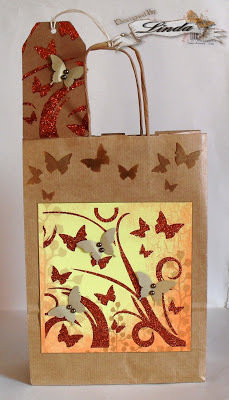 The design team have made some fabulous inspiration projects using two of our Butterfly stencils,, Butterfly Flight and Butterfly Flourish which you can purchase on our website Imagination Crafts. We look forward to seeing your creations using butterflies. 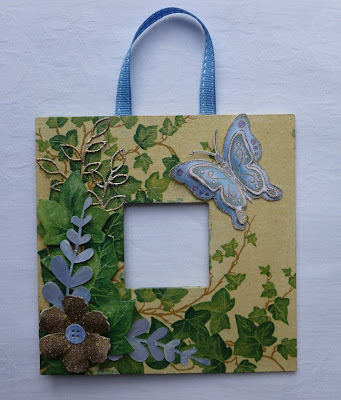 For my project I recycled a brown gift bag and made a tag using Kraft card. Please do hop on over to the challenge blog to see what our talented design team have created. Did you all manage the catch Sue on QVC tonight? Didn't she do a fabulous job of demonstrating and showcasing all the lovely new stencils, MDF charms, Sparkle Medium, Detail Sparkle and off course those lush mica powders. They are gorgeous and so vibrant. 1. 8 x 8 white square card which I have matted and layered yellow textured card which I have wrapped ribbon around and made a bow and added a charm. 2. I matted and layered the topper onto lilac pearlescent card. 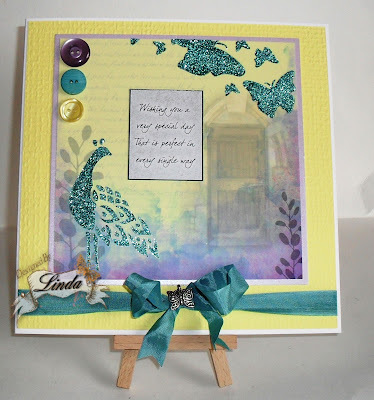 3 The topper I have used Imagination Crafts Peacock and Butterfly Flight stencils and Sparkle Medium in Jade. 4. I added a sentiment to the centre of the topper and added 3 buttons. Jennifer here again, hope everyone is happy and has had a good weekend. Today I am showcasing a sneaky peek that I have made for Sue and Harvey of Imagination Crafts for their show on QVC on September the 11th at 5pm. The back and the front of the Mdf board was painted with cream mdf paint. A coating of Servage was then applied and the chosen napkin layed on top. A second coat of Servage was applied on top of the napkin to act as a varnish and it was then left to dry. Cut out some leaves from a second identical napkin and glue them onto some white card, coat with Servage and leave to dry. When dry, cut out and 3d them onto the Mdf board using silicone glue. 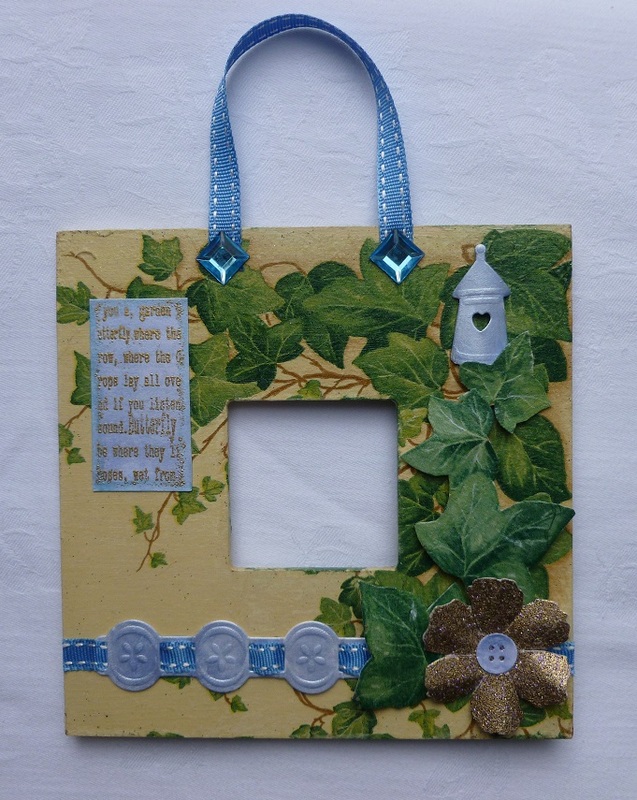 Add a ribbon hanger and cover ends with blue gemstones. Die cut border, birdhouse, flowers and open leaf stem. Paint birdhouse, border and leaves with blue mica powders mixed with water. Coat the open leaf stem with Versamark pad and heat emboss using gold embossing powder and pink glitter. Die cut two buttons and paint with mica powders. 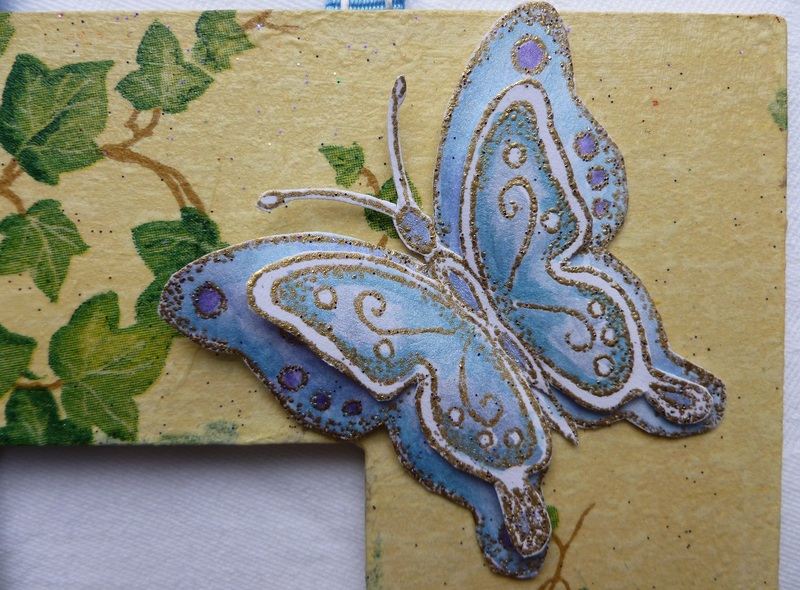 Stamp the butterfly and text onto white card using a Versamark pad and heat emboss using gold embossing powder. Colour with blue mica powder mixed with water. Decorate the back and front of the Mdf hanging with these embellishments. There you have it, one butterfly hanging. Have a good week everyone and don't forget to watch QVC on the 11th at 5pm. Until next time.